Merry Day After Christmas! Hope everybody's holiday plans went well. My Christmas was pretty good. Enjoyed a good meal and got some cool gifts that I wanted and didn't expect. All from my awesome mother. 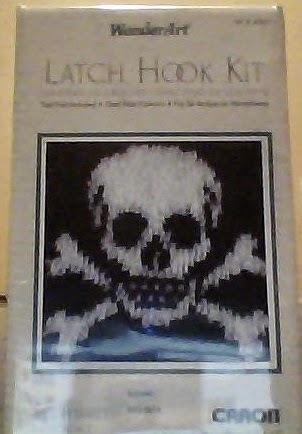 First up, a skull and crossbones latch hook kit. Kit didn't come with a latch hook. So, that will be something that I have to get the next time I'm out. 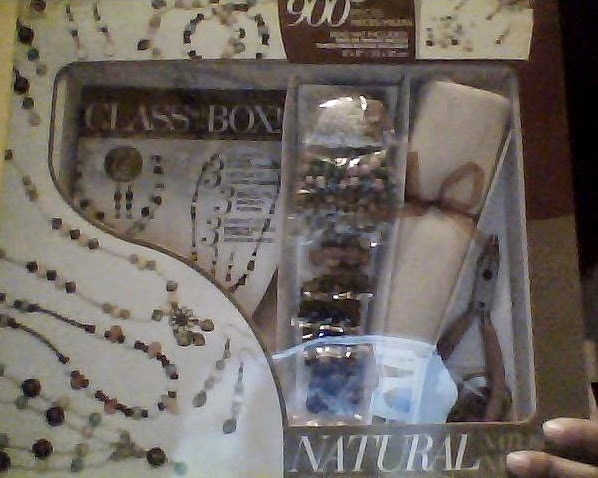 My mother also hooked me up with some other crafting goodies that I've been wanting. 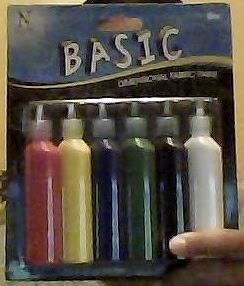 She got me an assortment of fabric paint. 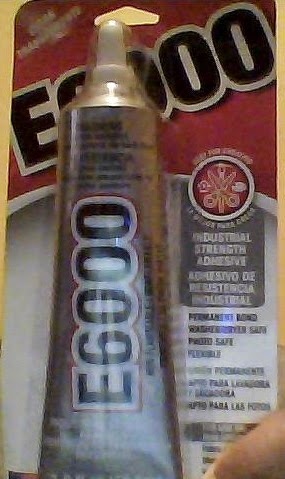 A pack of silver ring bases and some industrial strength adhesive. 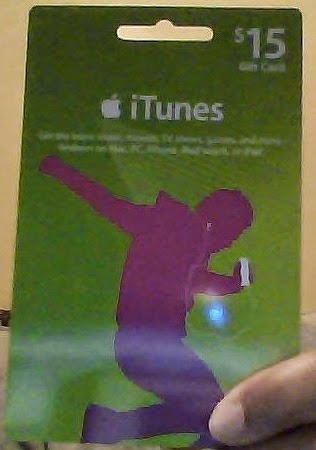 In the gift card department, I got an itunes gift card. For the grand finale, I saved the best for last. 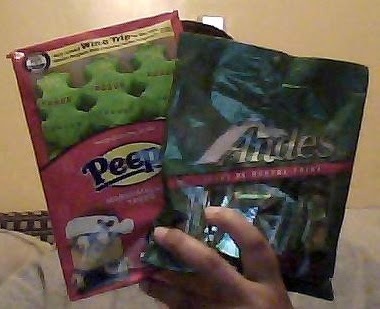 The last 2 gifts that I received were a pack of peeps and some andes. Mmm. Think I'll go buy Voltaire's "Raised by Bats" album with my itunes card while munching on some peeps. See ya. 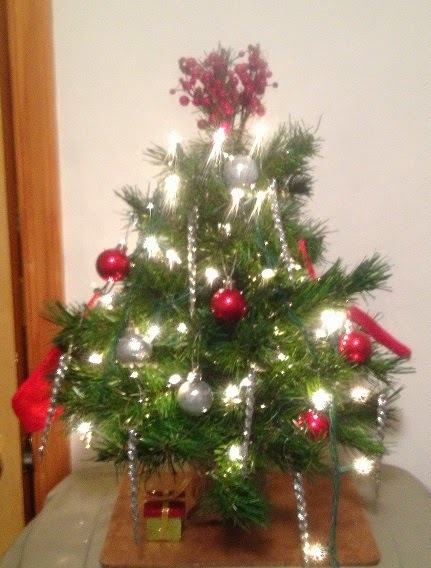 Christmas is almost here and my mother has decked out the apartment with festive decorations. 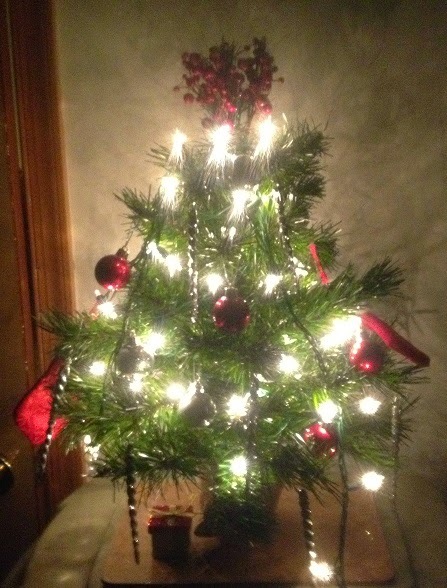 So I wouldn't feel left out of the process, she tasked me with decorating a mini fake tree for the bedroom. In my humble opinion, I think it came out pretty good. Figured I'd help out my fellow New Jerseyans and spread the word about this event. 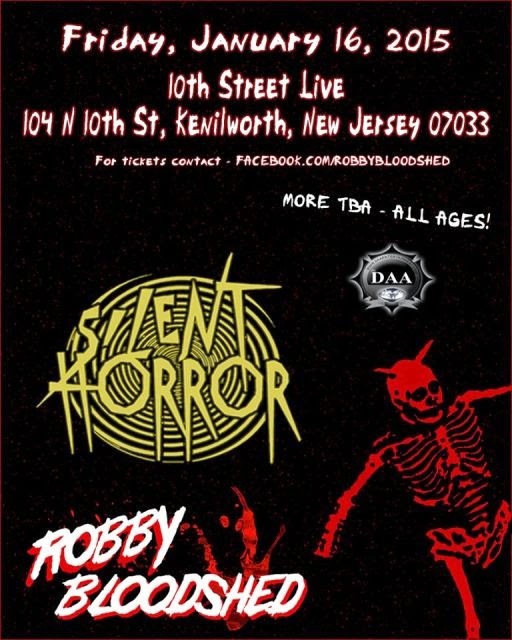 For tickets, contact Robby Bloodshed at https://www.facebook.com/RobbyBloodshed. Do not purchase from the venue or online. A few days ago, I used the gift card that I got for my birthday to order a pair of earrings from a shop on Etsy called Lunar Owl Creations. If you're a regular follower of my blog, you probably remember me talking about this shop in one of my past posts. 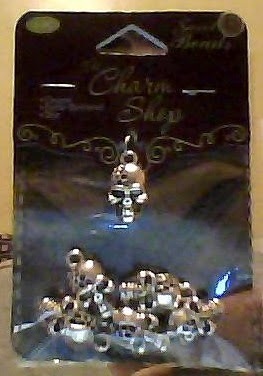 Anyway, the earrings arrived earlier today and they look amazing. 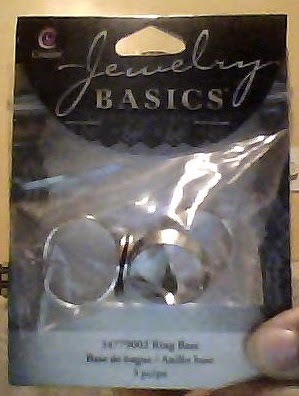 Bonus: The earrings came with a free matching bracelet. 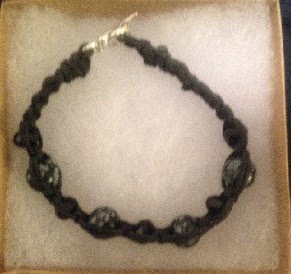 This is my second purchase from Etsy and I am again pleased with what I received. 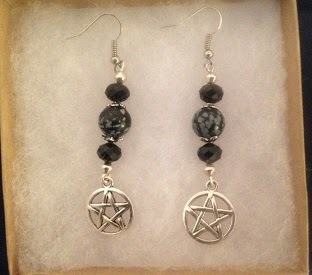 These will go great with my pentacle necklace.